As a court reporter, your work is hands on, literally! Your day is never a dull moment. You have seen it all, from criminal trials to sentence hearings to even boring motion hearings. One thing remains the same: you rely on your technical skills and knowledge as well as your physical ability to do your job. What if you could no longer do your job? Have you ever thought what would happen if you became sick, ill, injured, and disabled? How would you pay your bills if you did not receive a paycheck? Disability quickly affects your future plans and the lifestyle you worked so hard for. In this article, we discuss disability insurance and the best disability insurance for court reporters. The court system is very important. There is also a group of people who are more important. Who can be more important than the courts, the attorneys, and the noticing parties, you think. They pay my income. But, John, I’m not going to get hurt or be in a wheelchair, you say. Wow! I respond. If you know that, then you should not be a court reporter. You need to play the lottery! You won’t have to worry about income at all! All jokes aside. In all seriousness, when we think of disability, we think of someone bound in a wheelchair, right? Not true and far from it. According to the Council For Disability Awareness, 90% of disabilities are from illnesses (like cancer) than from accidents. That means an illness or condition, such as cancer or a heart condition, has a higher probability of disabling you than a skiing accident. Hopefully, we have made a great case showing that court reporters need disability insurance. Do you have some through work? While that is good, most likely it is not enough. Why? While every carrier is different, here are the important policy basics for court reporters. You generally can cover up to 70% of your gross salary. (If you are self-employed, your net income is the number.) Every carrier is different, though. Some have 60% coverage maximums. For example, if you have a gross monthly salary of $5,000, you can cover up to $3,500 (70%). Obviously, your health matters for underwriting. What you may not know is that your occupation matters, too. Most carriers will not cover high-risk professions for the simple reason of an increased probability of disability. Carriers classify the risk from a scale of 1 to 5 or B to 5A. The lower the number or letter, the riskier the occupation, and the higher the premium, all things being equal. Court reporters are typically classified as a 5 or 5A, which is the best available. There is an elimination period, which is like a deductible. It is the length of time – a waiting period – that elapses before disability benefits begin. For example, a 90 day elimination period means your benefit period will begin after 90 days of disability. You are eligible for benefits on the 91st day. You will receive your disability benefits at the end of the month, day 120 or so. This means you need to have adequate savings to carry you and your family until benefits begin. The maximum benefit period is to age 67. This means your disability benefits will continue as long as you are disabled. Other benefit periods exist, such as 2 year and 5 year periods, which provide beneficial coverage as well. The definition of disability matters. You generally want “true own occupation” coverage followed by a form of modified own occupation. What is “true own occupation”? 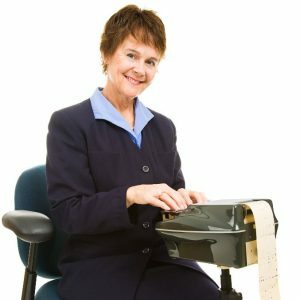 Simply, it means you can continue to work in another occupation while receiving disability benefits for your own occupation as a court reporter. So, if you can’t use your hands and fingers, but you can greet people at Walmart, you will receive disability benefits in addition to your earnings as a Walmart greeter. Modified own occupation is a bit different. You will receive a disability benefit based on your education and duties as a court reporter. However, you can’t work in another job. So, if you worked as a Walmart greeter, you won’t receive disability benefits under the modified own occupation definition. That is still OK, since you receive benefits based on your own occupation. Finally, there is the stringent “any occupation” definition. This means, simply, if you can work in any gainful occupation (for which you are reasonably suited, considering your education, training, and experience), you’ll be denied benefits. So, under this definition, you won’t receive a disability benefit based on your education and experience as a court reporter because the insurance carrier says you can work as a Walmart greeter. The plans we work with contain the favorable true own occupation definition for court reporters. Moreover, you can align this definition to match some or all of your benefit period. Return of Premium Rider: Will return all of your premiums back if you never make a claim. If you do, you’ll receive your premiums less any benefits received. Activities of Daily Living Rider: This rider pays an additional benefit if you can’t perform two or more of the activities of daily living or cognitive impairment. This condition is a catastrophic disability. In other words, this rider will pay an additional benefit if you need help or assistance with your first 20 minutes of your day – dressing, toileting, eating, transferring (i.e. walking), etc. Typically, this rider circumvents the total disability requirement and allows you to receive benefits immediately (after you satisfy the elimination period). Here is a very easy example. You lose feeling in your wrists and fingers. The doctor says you need to rest and limits your work to 2 days per week indefinitely. You are partially disabled. Without this rider – or a plan that has a partial benefit without a total disability requirement first – you would not receive any disability benefits because you are still working. Are You A Business Owner/Self-Employed? Are you a business owner or self-employed? You have an advantage. You can enroll in a policy that will pay your business expenses upon a disability. The policy is called a business overhead expense policy. Premiums are tax deductible. If structured properly, benefits are tax-free as well. This type of policy will ensure your business remains solvent during your inability to work from a disability. This is an additional reason why court reporters need disability insurance. Contrast this policy to a traditional disability insurance which pays a percentage of your income. Carriers who offer this type of insurance typically offer a discount on an individual disability insurance policy. Additionally, we only work with carriers that offer an occupation upgrade as well, which means lower premium cost, all things being equal. However, there is one carrier that stands out to us. That carrier is Illinois Mutual. An A- rated carrier, Illinois Mutual operates in the middle-income market. More specifically, it offers a niche product designed for professions like court reporters. They offer a variety of options that customize to your specific situation. Moreover, the premiums are generally very competitive. They even offer simplified underwriting (i.e., no medical exam) in many cases. We also work with a good carrier on the group insurance side. If you would like to insure yourself and someone else in your company, Reliance Standard offers a great long-term disability plan. Depending on the number of participants, you could apply at guaranteed issue (which means no medical underwriting)! Family members and spouses can apply, which is usually not the case with most small group insurance plans. Monthly benefits are up to $7,500 per month. And, what about premiums, you ask? Depending on your health and riders, the premiums could run anywhere from $0.50/day to $3.00/day. Think that is expensive? I bet you buy coffee almost every day or your lunch. What is more important? Insuring your income or buying a cup of coffee? There are many ways to afford disability insurance. We hope now you have a solid idea why court reporters need disability insurance. Confused? Don’t feel that way. We’re here to help educate you and protect your income and future. Don’t know where to start? Use this disability insurance needs analysis worksheet. Follow the instructions; it is rather easy to fill out (we at My Family Life Insurance try to make understanding insurance easy). Next, feel free to reach out to us for our assistance or a quote. Or, use the form below. We only work for you, your family, and your best interests only. We have helped many court reporters secure the right disability insurance for their specific situation, giving them and their families peace of mind.